We work harder to become a more knowledgeable RSMalaysia that keeps the latest stocks. To sincerely help users, process engineers, get the testers they need in the most honest way. To deliver only high quality, genuine/original electronic & non-electronic test equipment to you. Make sure all customers are happy after buying from us. Make sure customers' complaints are to be avoided at all time. Should a complaint occur, it should be looked into very seriously and thoroughly. Our customer service reps must be friendly and helpful. Since September 2007, all orders will go through SURESafe QC PRODUCT INSPECTION. 1.Offering advice based on our product knowledge and experience to assist our customers in finding the correct tester or meter. 2. Supply what our customer wants to buy in term of allowed budget, measurement needs. 3. Constantly increase our product knowledge. 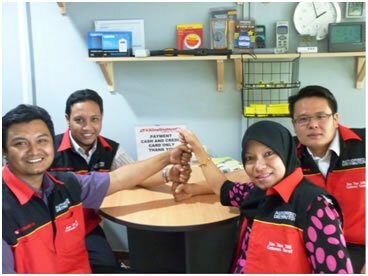 Bumiputra Test Equipment Resellers, Non-bumiputra Resellers, End-users, Corporate Customers. To see the list, please click here. 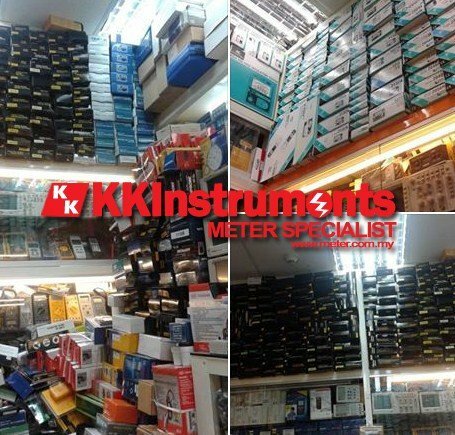 The Test Equipment Malaysia, and meter.com.my owned by KK INSTRUMENTS & TOOLS, offers the ultimate value in high quality test equipment. Our factory-trained technicians completely refurbish, align, and calibrate all Pre-Owned equipment to the original manufacturer's specifications. All new equipment shipped from KKInstruments undergoes a performance test and burn-in. This service is unmatched anywhere. Whether it is new or pre-owned equipment, our rigorous quality control assures that the product that you purchase will be the best possible. Don't settle for second best! Call us today to discuss your test equipment needs. We do not sell our customers' personal information, including email addresses, to any third parties. The prices on Test Equipment Malaysia's web site(s), including the online store, are those in effect on the publication date and are subject to change without notice. Please call +607-4352540 +607-4352540 to obtain current price quotations. There is a no minimum order total. Right now, we only accept Telegraphic Transfers ( ELECTRONIC TT). We will only ship to the address shown on your credit card statement, which will be verified by the card-issuing bank. ** Please reference your order number on your fax. We do not offer leasing. All items are covered under Manufacturer's Warranty.